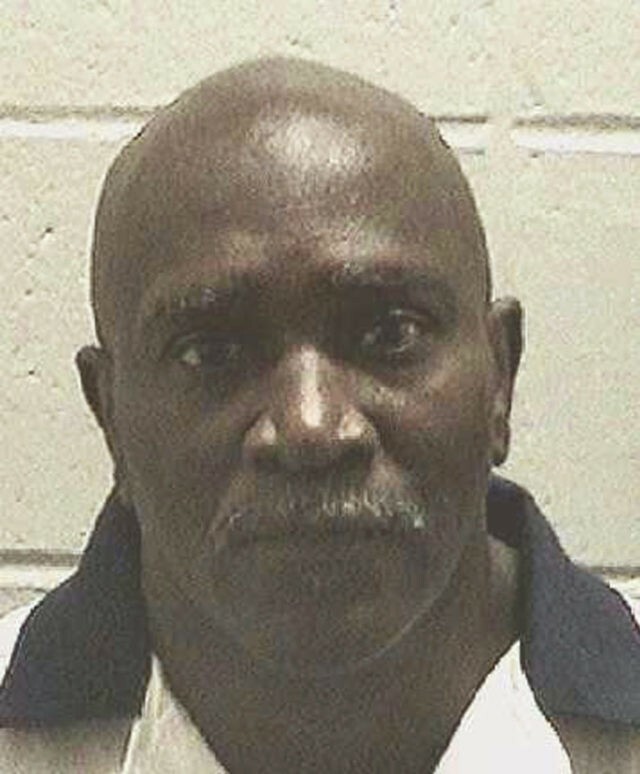 JACKSON, Ga. (AP) — The U.S. Supreme Court granted a temporary stay of execution Tuesday night for a Georgia man whose attorneys argue that the 59-year-old black man is intellectually disabled and that his death sentence is tainted by a juror’s racial bias. Keith Leroy Tharpe, known as “Bo,” was set to be put to death at 7 p.m. EDT at the state prison by injection of the barbiturate pentobarbital, but the hour came and went as the justices considered his case. Just before 11 p.m. EDT, the court announced the temporary stay. Freeman was traveling to work with Tharpe’s estranged wife when Tharpe blocked their vehicle with a borrowed truck, ordered them out and fatally shot Freeman. Years after Tharpe’s trial, a juror freely used a racial slur when he was interviewed by Tharpe’s legal team, according to filings by Tharpe’s lawyers. Juror Barney Gattie, who has since died, also said Freeman was from a family of “good black folks,” but Tharpe wasn’t in that category and should be executed for his crime, according to an affidavit. Gattie later said his comments had been “taken all out of proportion” and “misconstrued.” He testified that he voted for the death penalty because of the facts of the case, not because of Tharpe’s race. Lawyers for the state said in court filings that Tharpe’s intellectual disability claim already has been reviewed and rejected by the courts. The U.S. Supreme Court has ruled people with mental impairment are ineligible for execution. The state also said the juror racial bias claim was barred by evidence rules and that there is insufficient evidence to show that juror bias affected the trial’s outcome. The Georgia Supreme Court on Tuesday agreed with the state lawyers and refused to stop the execution, and Tharpe’s attorneys appealed to the U.S. Supreme Court. Tharpe’s wife left him on Aug. 28, 1990, taking their four daughters with her to live with her mother. Tharpe ignored an order not to contact his wife or her family and during an argument over the phone on Sept. 24, 1990, he said that if she wanted to “play dirty,” he would show her what dirty was, a Georgia Supreme Court summary of the case said. As his wife was driving to work with her brother’s wife the next morning, Tharpe used a borrowed truck to block them. He ended up shooting Freeman to death. In a clemency application, Tharpe’s lawyers described a tough childhood and an extensive history of substance abuse that they say included getting black-out drunk by age 10 and a debilitating crack cocaine habit. They say Tharpe feels deep remorse over Freeman’s killing and has kicked his addictions during his time in prison, devoted his life to God and sought to help improve the lives of others.